The By-Laws and Budget were also adopted by our members and are available for viewing on the Members page of our website (login required--please email us if you need assistance). The development of these was informed by our experience and interactions with all our members over the last year and a half at events, online, and in the community, and they are consistent with an approach we believe will advance the mission of SWEP Three Rivers. The 2020 election will be held with an open nominations process beginning in late 2019. Please keep this in mind if you are interested in joining the leadership of the organization. In the meantime, please contact one of our Committee Chairs if you would like to become involved. SWEP Three Rivers is proud to welcome Dr. Audrey J. Murrell, University of Pittsburgh, as an honored guest at our upcoming event, Mentorship, Women, and the Workplace Culture on January 25, 2019. Dr. Murrell is a professor of business administration and holds secondary appointments in the Graduate School of Public and International Affairs and Pitt’s Psychology Department. Dr. Murrell has been recognized by the Mayor's Citizen Service Award from the City of Pittsburgh, the SBA Minority Business Champion of the Year, the University of Pittsburgh Student Choice Award, the “Women of Distinction” award from the Girls Scouts of Southwestern Pennsylvania, the Susan B. Anthony “Women of Vision” award from the Women’s Leadership Assembly, and the Chancellor’s Distinguished Public and Community Service Award from the University of Pittsburgh. In December 2018, Dr. Murrell authored an article on Forbes titled "The New Wave of Women Leaders: Breaking the Glass Ceiling or Breaking the Glass Cliff?" 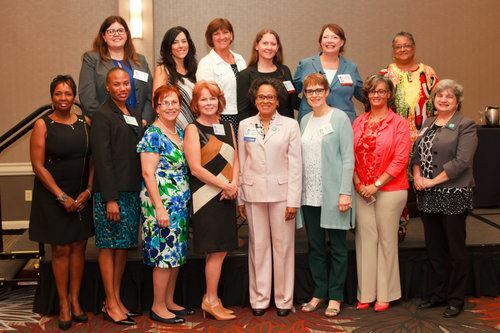 We encourage you to check out the article to hear Dr. Murrell's perspective on the pathways and barriers to women’s advancement into leadership positions. If you are interested in learning more about mentorship and cultivating a workplace culture of inclusivity, please join SWEP Three Rivers and Dr. Murrell on January 25, 2019 at the University of Pittsburgh College of Business Administration. Registration is $10 for SWEP members and students and $20 for non-members. Seating is Limited. Click here to register. SWEP Three Rivers celebrated its one-year anniversary with the fourth in our series entitled “A Conversation With…” The SWEP Board developed this signature event to help brand our new organization. Collectively, the Board determined that our first year would feature women leaders in our region who are changing perceptions, building bridges, and transforming the region. 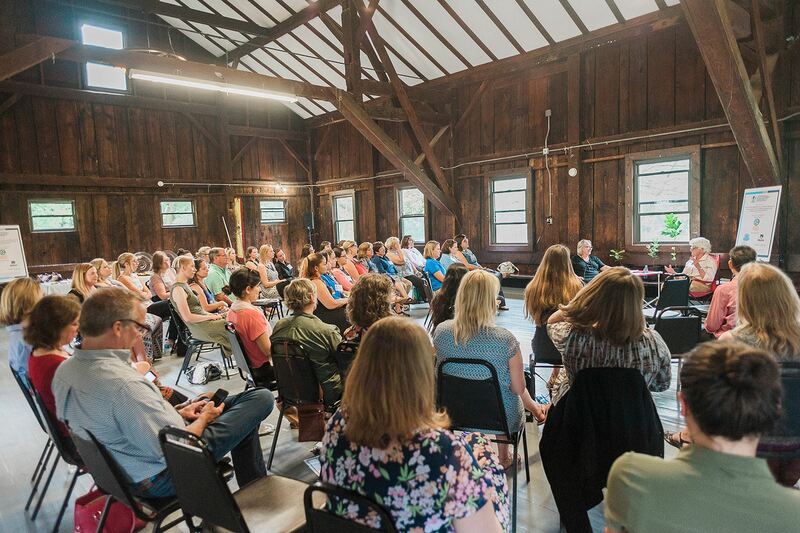 The conversations proved to be thought-provoking and wildly successful to raise awareness about SWEP Three Rivers. Our first conversation in September 2017 was a great success and we set the bar high with Arletta Scott Williams, Executive Director of ALCOSAN. Arletta is the first woman and the first African American to serve in this position - leading what is arguably the most important environmental organization protecting the health of our rivers. SWEP Three Rivers would like to thank Arletta for sharing her wisdom with us at our inaugural event and congratulate her on 20 years as Executive Director of ALCOSAN. Our second conversation featured Cheryl Moon-Sirianni, District Executive, PennDOT District 11. In this role, she is the first woman to oversee what could be one of the most challenging transportation networks in Pennsylvania. Cheryl brought to life the immense responsibility that rests upon PennDOT and the importance of the transportation network to our region’s quality of life. For our third Conversation we took it to the Park! Allegheny County’s North Park that is to learn about the Allegheny County Parks Foundation and its dynamic Executive Director, Caren Glotfelty. Her words of wisdom with the capacity crowd of women and men included getting involved with professional groups and taking on new challenges. Caren, a well-known environmental advocate spoke passionately about the serious environmental issues facing our region and gave us great advice as to how we can make a difference. SWEP Three Rivers had a great first year of interesting and inspiring conversations and our fourth speaker, Christina Cassotis, helped us close out our first year on a high note. Christina is literally transforming the aviation industry in our region. 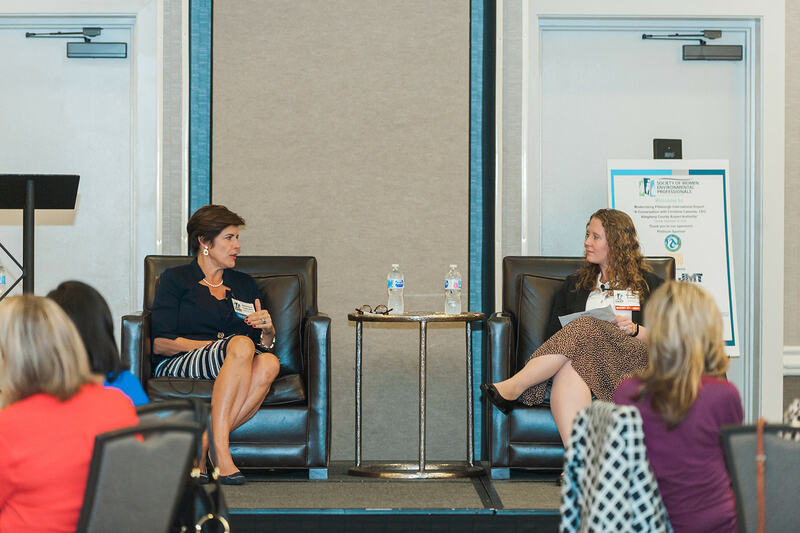 As the first woman CEO of the Allegheny County Airport Authority (ACAA), she is changing the face of “Pittsburgh’s Airport” through a leadership model that demands accountability. Christina came to ACAA with the mandate to affect change. She did that by challenging people to think differently about the airport and the market forces that influence the aviation industry. Her message that the old way of operating just doesn’t work resonated with her team and the region. Based upon the numerous awards given to the Pittsburgh International Airport, Christina and her staff, plus the continued growth in passengers, after three and a half years in Pittsburgh, it is safe to say that her approach works. With the Terminal Modernization Program (“PITransformed”), Christina is leading an effort to modernize Pittsburgh International Airport and build a community space that will welcome travelers in a much more sustainable and enjoyable way. This exciting project will recreate “Pittsburgh Airport” to meet the demands of today’s travelers and maximize its market potential. 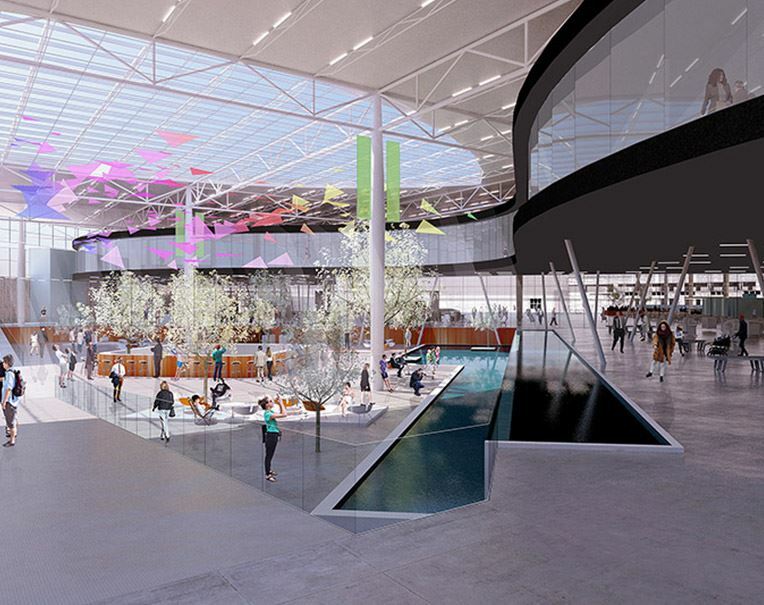 Inefficiencies will be eliminated to improve passenger experience and operations, but the vision is to create a community atmosphere within the airport. In addition to the Terminal Modernization Program and internal airport improvements, Christina is also advancing the ACAA’s relationship with local environmental groups, including the Montour Run Watershed Association. While she admitted this work was not her area of expertise, she emphasized the importance of sustainability in how the airport modernizes its infrastructure, energy needs, and relationship with surrounding communities. In some regards, Pittsburgh still must combat stereotypes of abandoned smokestacks, despite being a hub for technology, health care, and clean energy. She recognized early on that Pittsburghers believed the airport was important and had a vested interest in having it work well—which means it must modernize along with the city and region. Of all her accomplishments since arriving in Pittsburgh, Christina is most proud of the development of the team as they work together to advance the vision of transformation for Pittsburgh international and the region. SWEP-Three Rivers would like to thank our Conversationalists and our sponsors. We could not offer such a wonderful program without the following organizational support: Platinum Sponsor, ALCOSAN, and Gold Sponsors: JMT; and Civil and Environmental Consultants, Inc.; Silver Sponsor: SGS; Bronze Sponsors: Babst Calland; Eholdings; Moody and Associates; Hull, Inc.; Test America; and Collective Efforts. 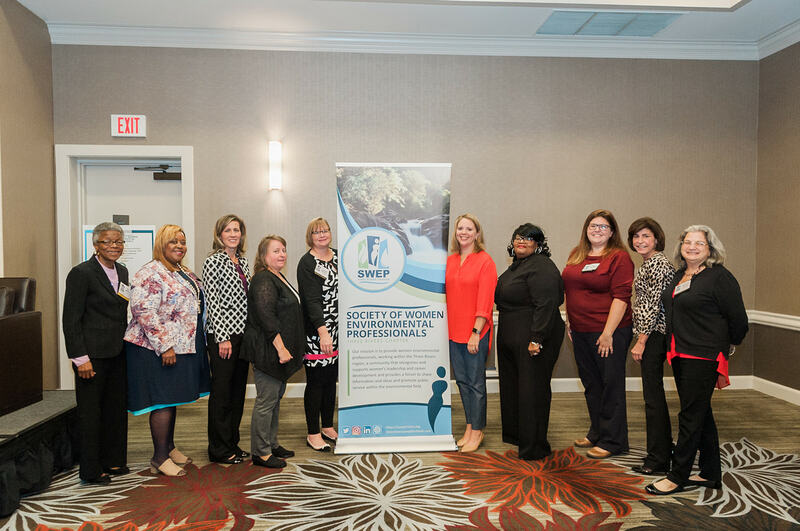 SWEP – Three Rivers is looking forward to 2019 and continuing the conversation with the goal to diversify our speakers and present new opportunities to network and build relationships. Please visit our website to learn about upcoming events! 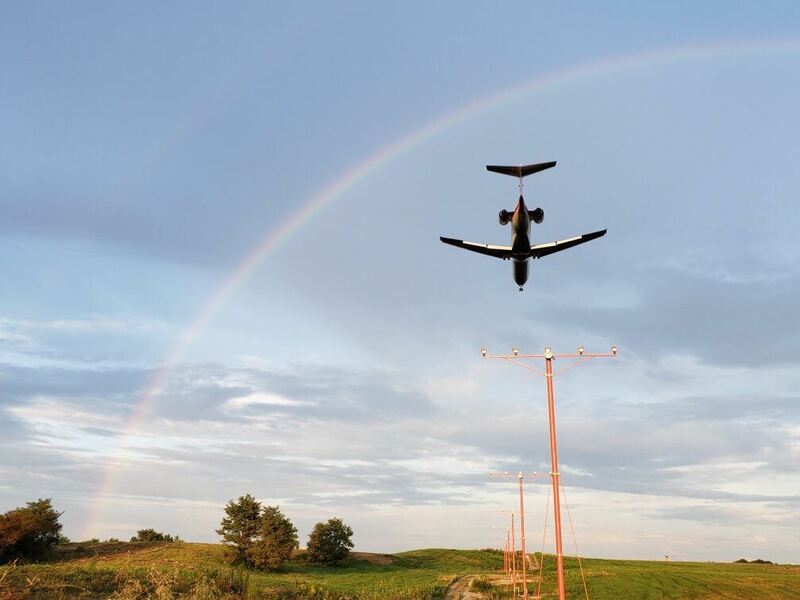 The Allegheny County Airport Authority (ACAA), which manages Pittsburgh International Airport (PIT) and Allegheny County Airport (AGC), has a vision to transform Pittsburgh’s airports to reflect and serve the community, inspire the industry, and advance the region’s role as a world leader. Prioritizing communities and the surrounding environment is key to achieving this vision. In 2018, the ACAA won the Airports Council International – North America (ACI-NA) Environmental Achievement Award for outreach, education, and community involvement for its “Outside the Fence” program. Through this program, it has partnered with the Montour Run Watershed Association to address abandoned mine discharge elimination on airport property. 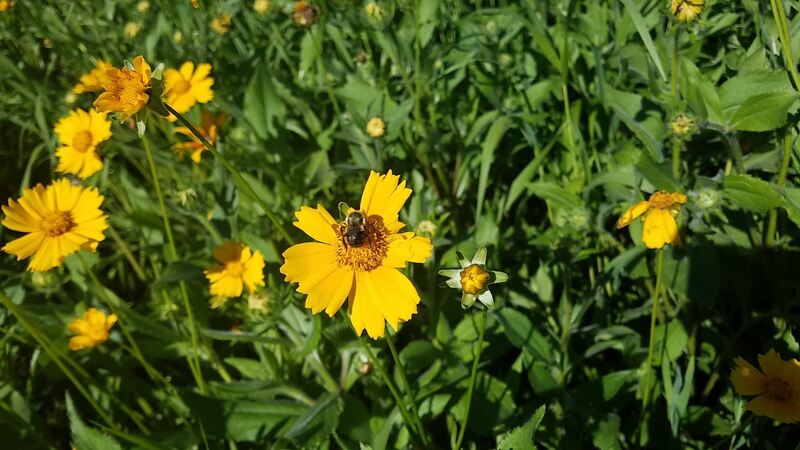 This is one of several efforts that propel the ACAA toward its vision and demonstrate to the community that it has become a leader in sustainability and natural resource management, education, and outreach programs. The ACAA is also pursuing the development of an on-site airport microgrid to lower energy costs and enhance the resiliency of energy service using natural gas and solar electricity. Natural gas has been produced on-site since 2016 but is not currently being used to directly fuel airport operations. The envisioned microgrid could generate and distribute a substantial proportion of the energy needed by the airport and its tenants. Major renovations at PIT - known as the Terminal Modernization Project (TMP) - will begin next year and continue through 2023. Announced by the ACAA in September 2017, the TMP will position PIT as an industry leader in airport design, operation, and management, with updated facilities that will provide best-in-class passenger experiences while reducing long-term costs. Before any construction can begin, every “i” must be dotted, every “t” must be crossed, and every wetland must be delineated. Much work is needed to ensure that the TMP will minimize any impacts on the surrounding environment and local communities. The existing airport consists of Airside and Landside terminals connected by a train. Space is not laid out to efficiently accommodate current airport operations, with long moving walkways, baggage transportation between terminals, and outdated security checkpoints adding expense to the airport’s operation and time to travelers’ journeys. Mezzanine level: ACAA administrative offices and conference space. A Draft Environmental Assessment (Draft EA) was prepared by ACAA to evaluate the potential environmental impacts of the TMP pursuant to the requirements of the National Environmental Policy Act (NEPA). The Draft EA included an analysis of reasonable alternatives, potential environmental impacts, and mitigation measures, as deemed appropriate. This document was available for public review through April 2018 and approved by the Federal Aviation Administration (FAA) in May 2018. The Draft EA concluded that no significant environmental impacts will be caused by the TMP. 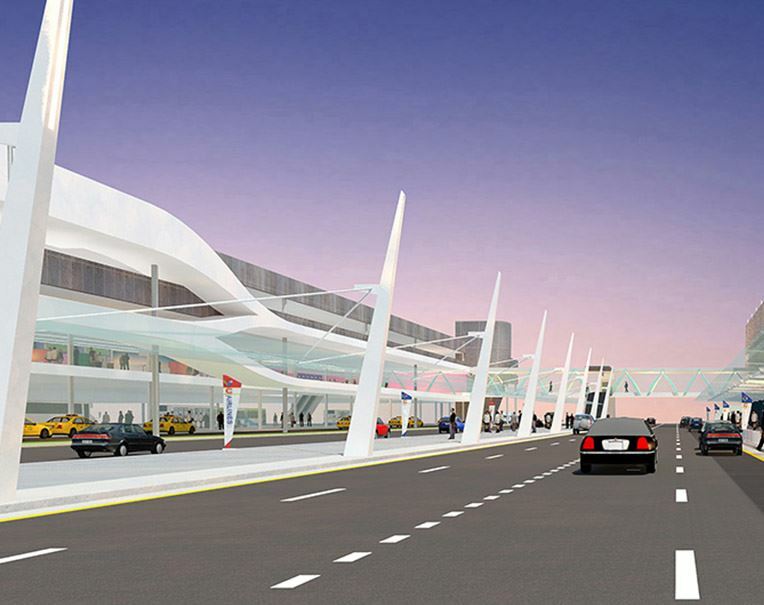 Alternatives considered enhancing the existing terminals, replacing the garage and constructing the International Arrivals Facility only, and the selected TMP. The selected TMP was determined not to result in any significant environmental impacts and to best achieve the ACAA’s customer service and financial objectives. Today’s world is shaped by shifting economic, social, and environmental forces – and at its heart lies the need to achieve sustainable development. Every stage of the construction process has a measurable environmental impact; from the manufacturing of building materials and the transportation of those materials to the building site, to the construction process itself and the final waste removal and disposal processes that follow the completion of the project. Environmental professionals, contractors, and design firms will be working in a collaborative effort with the ACAA to reduce those impacts while designing new infrastructure, energy production and distribution systems, and buildings. 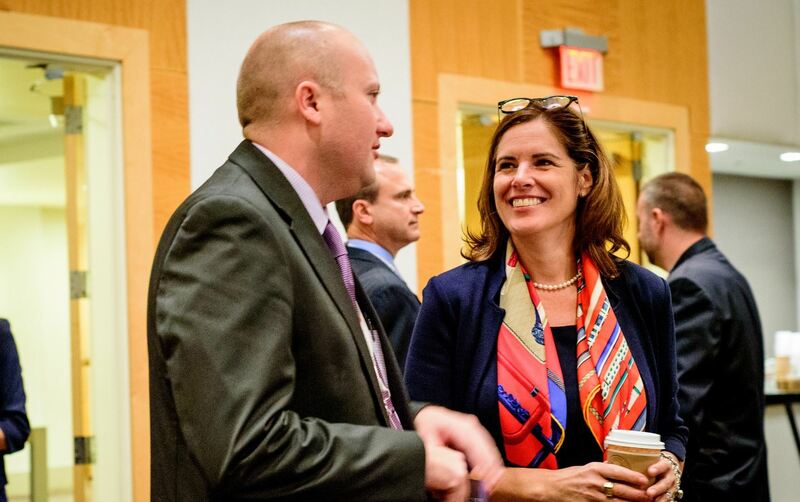 We hope you’ll join us at our next event, A Conversation with Christina Cassotis, CEO Allegheny County Airport Authority, to hear about her leadership of the ACAA and the exciting developments at Pittsburgh’s airports. The event will be held on September 25, 2018 at 8:00 am at the DoubleTree Green Tree (500 Mansfield Ave., Pittsburgh, PA 15205). Please visit the SWEP Three Rivers website for event details and to register by September 12. Article written by Cindy Zuch, with contributions by Shaena Berlin Ulissi and Amanda McNally. The SWEP Three Rivers Chapter Public Service Committee is hosting an educational, hands-on activity-driven booth at the annual ALCOSAN Open House on September 15th from 9:00 AM to 4:00 PM. Volunteers from the SWEP Three Rivers Chapter will volunteer throughout the day—if you would like to join us at the booth, please contact the Public Service Committee Chair, Amanda Love at alove@moody-s.com. SWEP Three Rivers is honored to have ALCOSAN's support as a platinum sponsor for our recent event with the Allegheny County Parks Foundation and our upcoming Conversation with Christina Cassotis, CEO of the Allegheny County Airport Authority. 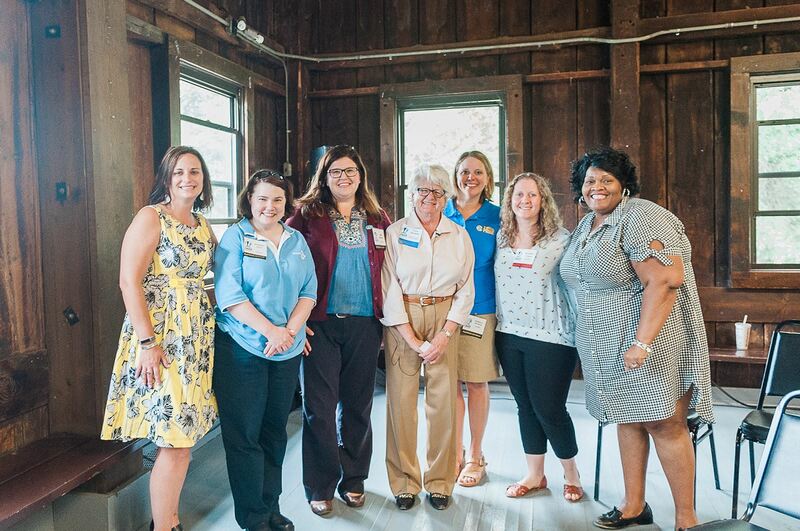 ALCOSAN's Executive Director, Arletta Scott Williams, headlined SWEP Three Rivers' first ever "Conversation With..." event in September 2017, where she challenged us to grow as women professionals and work to create a culture where women succeed not only in the workplace but also in life. As we prepare for ALCOSAN's upcoming Open House, we also celebrate Arletta's 20th year as the Executive Director of ALCOSAN. We hope you'll visit our website to read about her incredible contributions in the Pittsburgh region. ALCOSAN's Open House is the region's largest environmental festival, and we hope you'll join us for a fun-filled day of hands-on exhibits, tours, demonstrations, and activities for all ages. Park for free or ride the free shuttle from the North Side T Stations. Come rain or shine! In September 2018, SWEP Three Rivers is reaching for the sky as we welcome Christina Cassotis, Chief Executive Officer of the Allegheny County Airport Authority. 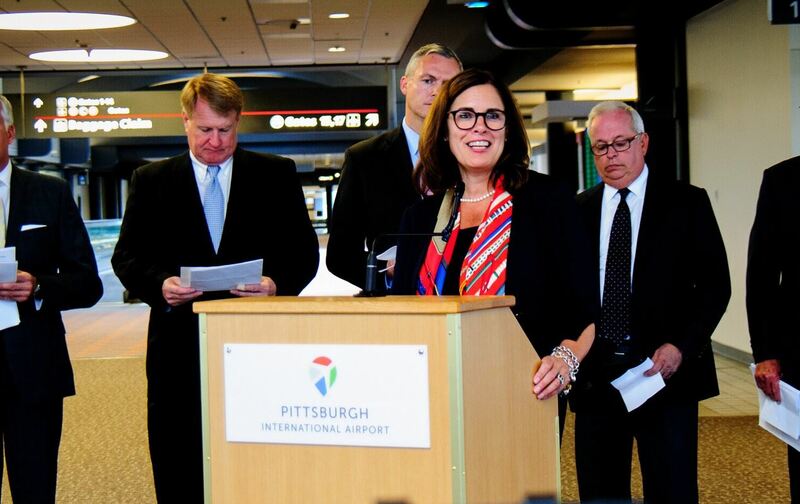 As the Airport Authority’s first female CEO, Christina is helping to elevate the reputation of the Pittsburgh Region by embarking on an ambitious project to modernize Pittsburgh International Airport. The $1.1 billion project will right-size the former US-Air hub design to better serve the market and our region. Christina’s nontraditional path to leadership has given her solid footing upon which to challenge conventional thinking. She grew up in southern New Hampshire, the daughter of a commercial airline pilot and loved learning about his trips to exotic destinations. While she dreamt of working in aviation like her dad, she did not see herself as a pilot and there were few opportunities for women in the Aviation industry. However, her networking skills and willingness to try new challenges led her to the Massachusetts Division of Energy Resources where she quickly earned respect as a writer at Energy and was hired as director of communications for the Executive Office of Communities and Development. From there Christina made the transition to the aviation industry. She worked at the Massachusetts Airport Authority (Massport) for five years before joining the consulting firm SH&E and then earning her MBA from MIT’s Sloan School of Management—all while working full time, traveling, and raising her son. Her work ethic and drive for success were fostered by her hard-working parents—her father experienced the loss of his own father at a young age and the difficulty his family faced made him “determined to raise women who, no matter what, were going to be fine on their own.” Better than fine, Christina has leveraged her years of hard work and experience in the aviation industry to lead the Allegheny County Airport Authority and the results speak for themselves. Since she joined the airport in 2015, it has seen three straight years of increasing growth, including eight new airlines. In 2017, the airport saw nearly 9 million passengers, signaling an 8% increase over the previous year. The same year, the Airport Revenue News named her "Airport Director of the Year" for increasing domestic and international flights and she received the ACI-NA Excellence in Visionary Leadership Award from the Airports Council International – North America (ACI-NA). 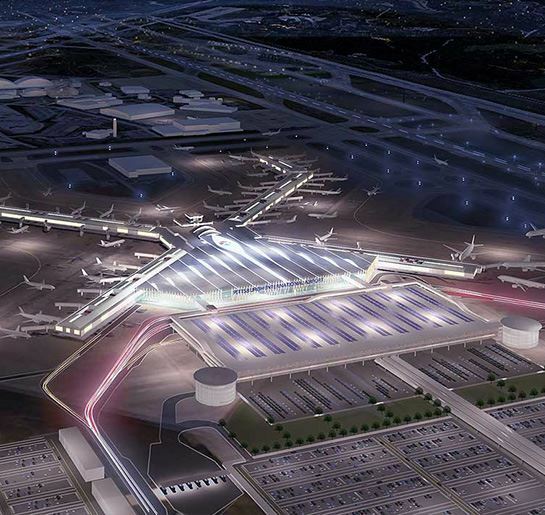 Christina’s vision for a modern airport brings people to the forefront with a goal to provide a fresh and market-savvy presence for Pittsburgh International. Our Conversation with Christina Cassotis, CEO Allegheny County Airport Authority, will be held on September 25, 2018 at 8:00 am at the DoubleTree Green Tree (500 Mansfield Ave., Pittsburgh, PA 15205). We look forward to seeing you at this exciting event! Please visit the SWEP Three Rivers website for event details and to register. Standing at the helm of one of the most important environmental agencies in our region Arletta Scott Williams is celebrating her 20th year as the Executive Director of ALCOSAN while preparing to undertake one of the largest infrastructure projects in recent history in the Pittsburgh region. 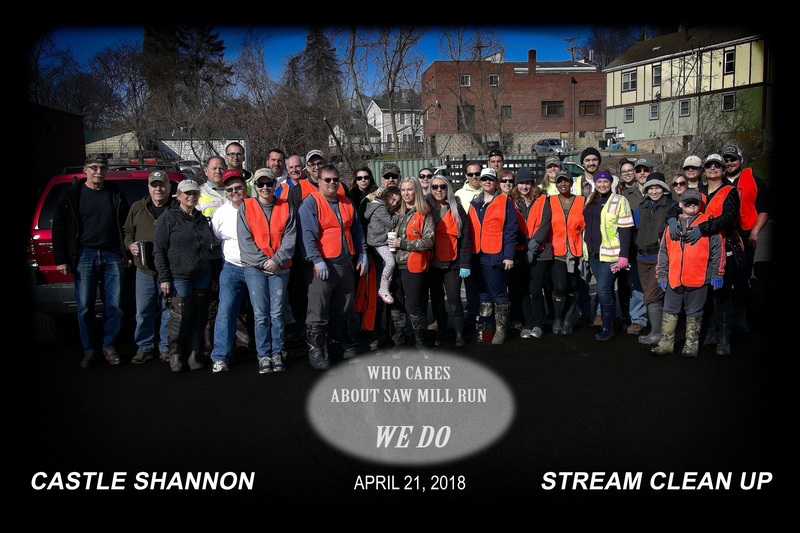 She, along with her team, are working diligently to complete major changes to a hidden infrastructure system that most people have no idea even exists and yet is essential to ensure the health and prosperity of the Three Rivers region. 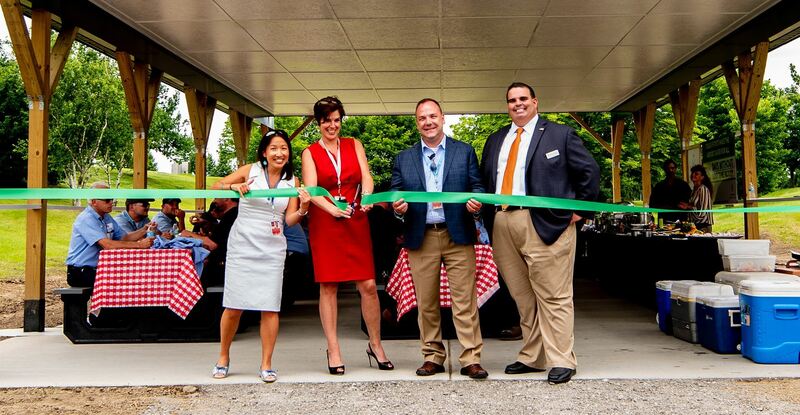 At the same time, SWEP Three Rivers is celebrating our first-year anniversary and, while ours is not as an illustrious history, our path has been entwined with ALCOSAN from the outset. 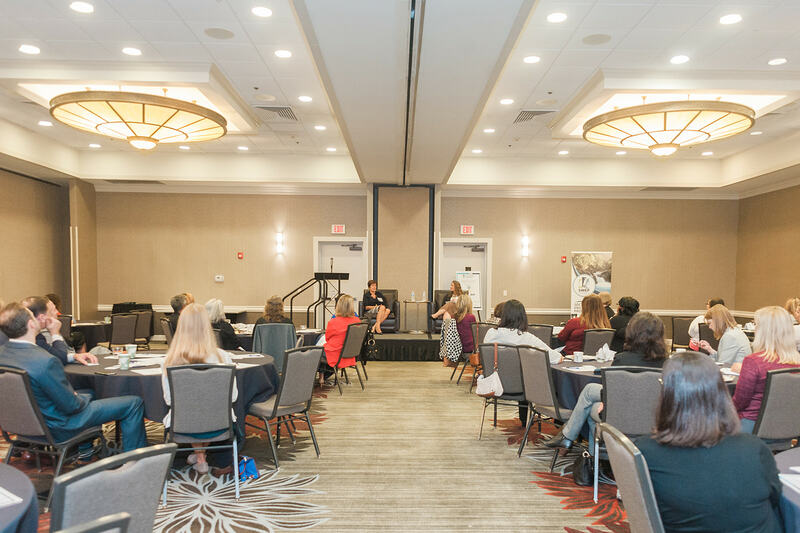 It was Arletta who took the chance on us to lead our first “Conversation With…” event in September 2017 (see photos here) where she challenged us to grow as women professionals and work to create a culture where women succeed not only in the workplace but also in life. 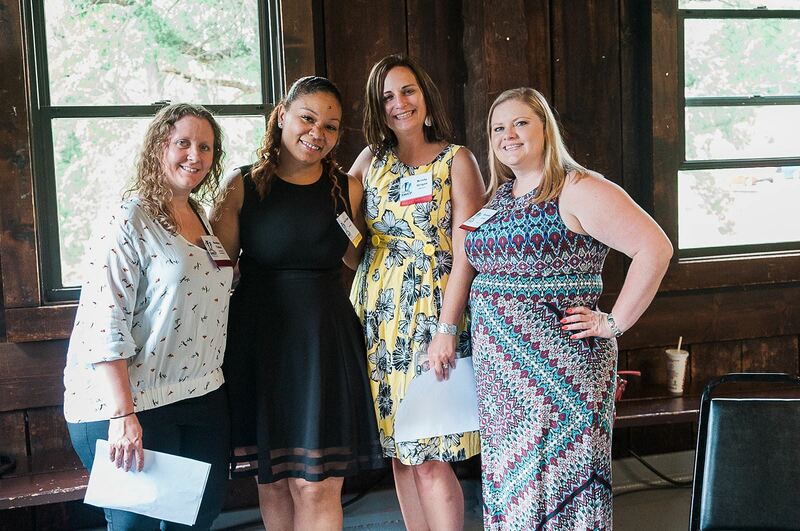 Our goal in our first year was to feature women leaders in the Pittsburgh region who are achieving success and breaking through the proverbial glass ceiling. Arletta exemplifies this in every facet of her career. She graduated first in her class from Westinghouse High School and then earned a Bachelor of Science degree in metallurgical engineering and materials science from Carnegie Mellon University. She began her career at ALCOSAN in 1984 as a shift engineer and worked her way up through the ranks to Director of Operations and Maintenance. 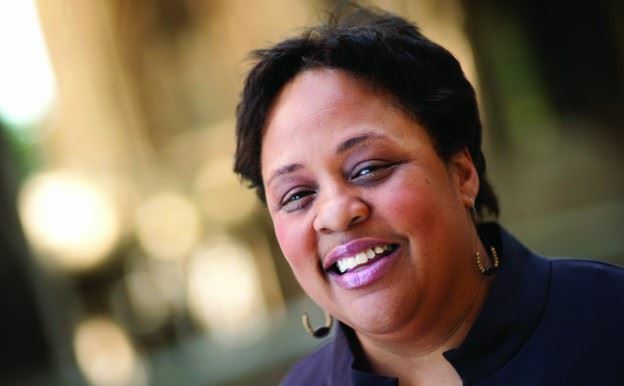 In 1998, Arletta was appointed as the Executive Director for ALCOSAN, making her the first woman and first African American to serve in this position. Her team and board members will tell you that is not just her intelligence and work ethic that have made her a success. Rather it is her passion for ensuring that all people have a chance to thrive and grow, along with her commitment to bettering the world around her. Under her guiding hand, ALCOSAN has grown exponentially and now employs more than 400 people. During this time, Arletta saw to it that jobs at ALCOSAN would be open to workers of all backgrounds, starting with entry-level custodial positions all the way up the ranks. Currently, there are seven divisions within ALCOSAN and women lead three of those. The procurement department is managed by a woman who oversees millions of dollars’ worth of contracts every year, and women are the managers in seven departments. Arletta is a well-known advocate for advancing the mission of ALCOSAN and supporting community initiatives. In 2016, she was recognized by Greater Pittsburgh YWCA with the Racial Justice Award for business and professional services because of her contributions to the community. Another of her passions at ALCOSAN is the Scholastic Outreach Program, which works with local schools each year to teach children about clean water and the role that each of us play to protect our planet. 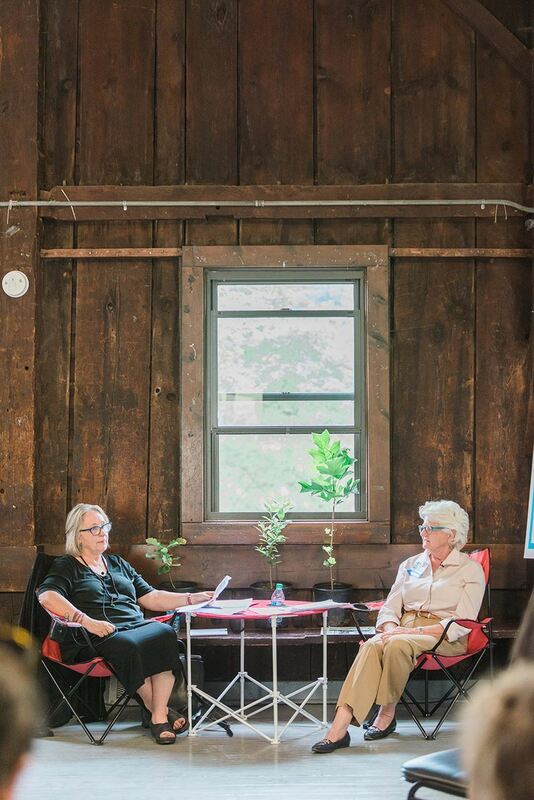 The annual ALCOSAN Open House is an example of her efforts to teach children the importance of environmental stewardship in a family-friendly atmosphere. This year the Open House, which is the region’s largest environmental festival, is scheduled for Saturday, September 15, from 9:00 a.m. until 4:00 p.m. Joining ALCOSAN in delivering its clean water message, SWEP-Three Rivers is proud to participate with our own demonstration booth where we will feature a hands-on project for school-age children. Join SWEP-Three Rivers as we recognize the important role of ALCOSAN and the leadership of its Executive Director, Arletta Scott Williams, for a fun-filled day for all ages. What we learned: It was a great day for a conversation in the park! 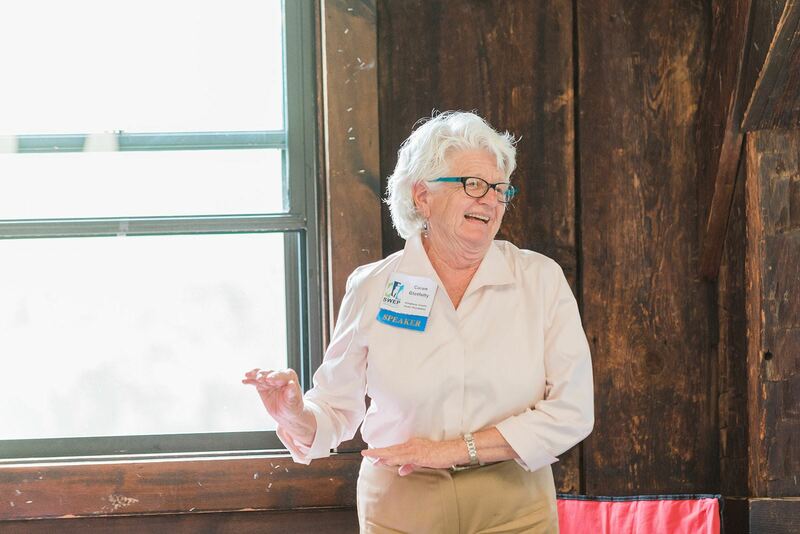 On a beautiful summer day, SWEP Three Rivers Chapter took our conversation to Allegheny County’s North Park to learn about the Allegheny County Parks Foundation (ACPF) and its dynamic Executive Director, Caren Glotfelty. Established over a decade ago, the Foundation began as a way to raise money for recreational amenities in the County’s nine parks. Since then, its role has evolved into a true partnership with Allegheny County and its network of Parks. 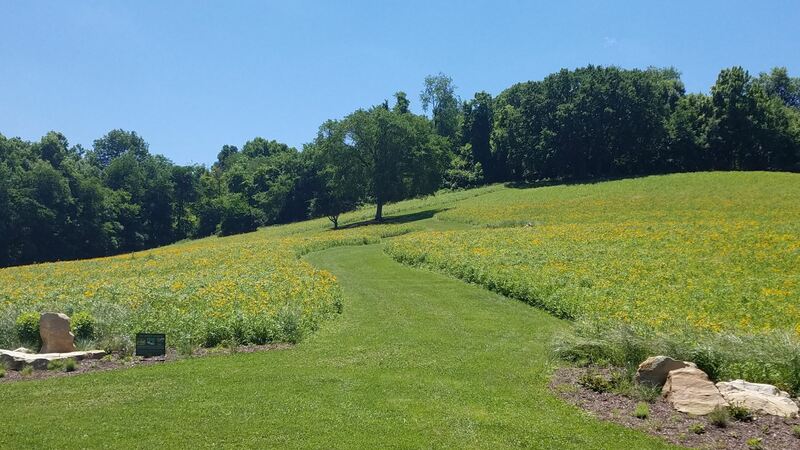 Under Caren’s leadership, the ACPF works hand-in-hand with Allegheny County Parks to identify priority issues, projects, and studies that will benefit the expansive park system, which encompasses 12,000 acres across the nine parks. The Allegheny County Parks are popular. Little did we anticipate that our third “Conversation With” event would sell out two weeks in advance of the event! If you know Caren, you would agree that it wasn’t just the opportunity to spend the afternoon in the park. SWEP members and newcomers alike came out in droves to hear from Caren, a well-known environmental advocate who spoke passionately about the challenge keeping up with our parks and the broader environment issues facing our region. Caren shared that the Allegheny County Parks system was established in the late 1920s by forward thinking County Commissioners and these actions have created long-lasting benefits for residents and visitors. Today our nine parks receive over 20 million visits a year and attract people from the entire region. How do we know this? Caren commissioned a study with Penn State researchers to conduct a statistically valid survey to estimate park usage. This level of usage demonstrates the importance of our parks as a recreational and social outlet. However, this information is essential for the County government to understand so that they can adequately address the demands placed on this important infrastructural and ecological resource. We have history to share! North Park and South Park were designed by famed Landscape Architect Paul Riis. Original stone work and structures built in the early days, such as the Boat House in North Park, still remain. Sadly, the years have not been kind to all of his designs, but efforts are underway to restore these beautiful works of landscaped art. Our newest County Park, Hartwood Acres, was a former equestrian estate that was donated to the County. Today, the estate’s beautiful grounds host cultural events, such as concerts, outdoor theater, and yoga, and is home to valuable and historically significant sculptures. Relationships are Important. Over the years, the County has dedicated significant resources to the maintenance and improvements of the Parks. However, Caren recognized the opportunity to collaborate with other like-minded organizations to provide enhancements to the Park while improving the natural environment. 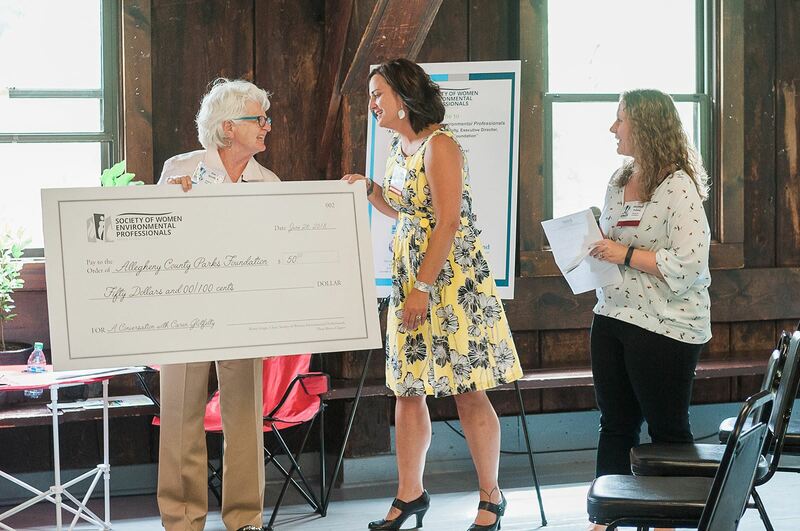 To celebrate the Audubon Society’s 100th anniversary, Caren helped raise money to support the installation of 100 Chimney Swift habitat towers at scattered locations throughout the County Parks. It’s the natural environment. In the early days of the Foundation’s work, not much attention was paid to the natural environment. Under Caren’s tutelage, significant progress has been made to study and document the health of the natural environment through ecological assessments either completed or underway. Caren referenced the recent study completed by Tree Pittsburgh regarding the loss of tree canopy how the Parks play an essential role in stormwater management and natural habitat, but that people still want the flat grassy areas to have picnics and play frisbee. When asked about the goal for tree cover across the 12,000 acres, Caren emphasized the need to enrich the experience that people have when they visit a park, but the focus on data collection and fact-based resource management is essential for the future resiliency of our parks. A recent example is the documentation of a beautiful forest environment by Pinkerton Run in Settlers Cabin Park, which sits below the extensively mined areas of the park. Caren noted that the grand tree stands were not expected in an area that had such a presence of extractive industries, but now they can develop a plan to protect this fragile resource. Things, they are changing. When Caren started her career in the 1970s, the environmental movement was sweeping across the nation. Today, she sees a different political environment but believes that the value of protecting the health of our natural environment will continue to be an important consideration for our public officials and the residents who elect them. She stressed that we must first address the physical condition of our infrastructure if we are to attract the kind of high-caliber economic development desired in our region. For the Parks, Caren believes we should strive to return waterways back to their natural condition when possible and integrate the physical restoration of contours when designing new projects. She is also excited for their new renewable energy initiative that will feature solar installations at various park location. So, what are the possibilities for environmental professionals? Sitting in front of a window overlooking North Park Lake, Caren shared a few words of wisdom with the capacity crowd of women and men. Take risks—but do not be afraid to ask for help. Get involved with professional groups and network as much as possible. (And invite Caren for a cup of coffee—she won’t turn you down!) When asked how to make a transition into the environmental field, Caren challenged everyone to broaden their experiences and knowledge by volunteering in an area outside their professional career path. She suggested that, by doing this, we will grow our expertise in new and exciting ways while broadening our network and perspective. What is next? Caren continues to focus on partnerships and the financial health of the Foundation and parks, which requires a lot of outreach and fundraising. Upcoming events to benefit the Parks Foundation include Twilight Picnic For The Parks on August 25 in Hartwood Acres and Pour at the Park - North Park on September 7. She plans to go mobile at some point with an Airstream Base Camp that will let her get back to nature with the help of her Ford Escape. For SWEP? We will continue our Conversation With… series in the hopes that we can elevate awareness of important environmental issues facing the Three Rivers Region. Perhaps you’ll leave inspired to engage on new environmental issues—or at least start a conversation about them with a woman who’s been down that road before. SWEP-Three Rivers Chapter extends our heartfelt appreciate to Caren for her time – what a great way to spend the day! Thank you also to our Sponsors. We could not offer such a wonderful program without the following organizational support: Platinum Sponsor, ALCOSAN, and Bronze Sponsors: Babst Calland, eholdings, Moody and Associates, and Skelly and Loy. Thank you also to Tree Pittsburgh for the donation of heritage tree seedlings for door prizes. Three lucky people received a native tree grown from locally collected seeds and hand grown at the Tree Pittsburgh Heritage Nursery. Since the 1920s and 1930s, Allegheny County parks have supplemented the network of smaller, denser city parks and distant state parks by providing expansive nature retreats strategically located to population centers. As the first of the County parks, North Park and South Park were designed to feature country club style amenities such as swimming, golf, tennis, picnic areas, and equestrian trails for public enjoyment. The philosophy of that time was to offer people living in the city an opportunity to escape to a rural setting where they could experience the types of recreational opportunities readily available to more wealthy citizens. By the late 1950s, efforts were underway to expand the park system and six parks (Boyce, Round Hill, White Oak, Settler’s Cabin, Harrison Hills, and Deer Lakes) were added. Thinking proactively, the County contracted with landscape architect firms to create guiding principles for park development and features. While not a strict code of regulatory guidelines, but rather a philosophy for designing the County parks system, this investment in the natural landscape and commitment to elevating the standard of recreational offerings has created a valuable resource for the county and region. Today, Allegheny County provides a rich offering of activities and a wide range of amenities ranging from swimming pools and skiing facilities to nature and cultural centers. The success of this effort is documented by the level of visitation that the nine parks in the County’s system receive. Together, the Allegheny County Parks attract over 20 million visitors per year. The challenge of managing such a significant park system and keeping it accessible to the public is immense. Allegheny County recognized that additional resources and partnerships were needed and created the Allegheny County Parks Foundation, a 501(c)(3) nonprofit, in 2007 to help improve, preserve, and restore the parks. The Allegheny County Parks Foundation not only supports capital projects but also has helped to evolve the way the County assesses the park system itself. This perspective focuses on a fact-based understanding of the ecological health of the park. For instance, the North Park Master Plan (2012) included a site assessment that evaluated vegetation, water resources, geology, utilities, and transportation and circulation patterns. In 2015, the Foundation partnered with the Western Pennsylvania Conservancy (WPC) to conduct its first Ecological Assessment and Action Plan to evaluate natural resources and environmental assets. That initial project focused on Boyce Park and South Park and the Foundation is currently working on similar assessments for Hartwood Acres and Settler’s Cabin parks. These projects are data-intensive and use geographic information system (GIS) mapping and specific data collection techniques and observations. Key outcomes include identification of rare and sensitive plants, preferred locations for restoration to increase wildlife habitat, development of a sustainable trail plan, and recommendations for green stormwater management techniques. The County has begun implementing some of these recommendations, including a demonstration meadow in Boyce Park. Many other projects are currently underway in the Allegheny County parks including new trails, pollution clean-up, restoration projects, and signage improvements in all parks to enhance the visitor experience. The collaborations between the County, Foundation, and stakeholders including park visitors, environmental groups, businesses, and local governments continue to result in improved recreational experiences and environmental benefits for Allegheny County residents and visitors. The Society of Women Environmental Professionals (SWEP) - Three Rivers Chapter is placing a spotlight on the County’s parks system and the essential role of the Allegheny County Park Foundation when we host “A Conversation with Caren Glotfelty: The Art of Possibilities for the Environmental Professional” on Tuesday June 26th in North Park. Our Chapter recognized the importance of this conversation early on and we are pleased to announce that the event has reached capacity and registration is closed. Please visit our website to learn more about SWEP, our mission, and upcoming events. Lisa Werder Brown, Executive Director of SMRWA, provided coffee, donuts, and a brief safety lesson for the group. The volunteers divided into smaller groups to tackle 1.6 miles of stream between Rockwood Avenue and Killarney Drive. The Great American Cleanup of PA provided safety vests, gloves, and trash bags – enough for this event and several stream cleanups to come. Tackling the stream is exactly what this group did! The bed of the Castle Shannon Borough truck was overflowing with bags of “non-natural” items pulled out of the stream. The bulk of the trash collected was small items such as cups, bottles, cans, food wrappers, and plastic grocery bags that made their way into the stream getting caught in branches and under rocks. The volunteers also pulled out heavier abandoned items, such as broken pipes, parts of old manholes, construction debris, and even a few granite headstones. Special thanks to The Pizza Company and SHOP ‘n SAVE in Castle Shannon Borough! Upcoming events for SMRWA can be found here. To report maintenance issues for Saw Mill Run, please download the “Water Reporter” app and join the Saw Mill Run Watershed group page. The app can post photos with geotags to be send to SMRWA to handle environmental or other concerns.